Regardless of what your organization is managing and accomplishing today, the hope is that you will continue to grow and, with growth, you should also expect change. Change may come in the form of new program offerings to your constituents, new internal processes, new products or services, new affiliations and possibly even a new organizational structure. Many of these changes can be facilitated and streamlined within your existing salesforce.com platform, but you want to make certain that you are planning ahead so that your expansion is relevant, thoughtful and proactive, rather than reactive. Often times, this proactive plan is called a roadmap and, ideally, it is considered consistently and regularly as a part of the overall strategy for your organization, though, as a caution, it is strongly advised that your organization’s strategy should drive the roadmap, not the other way around. 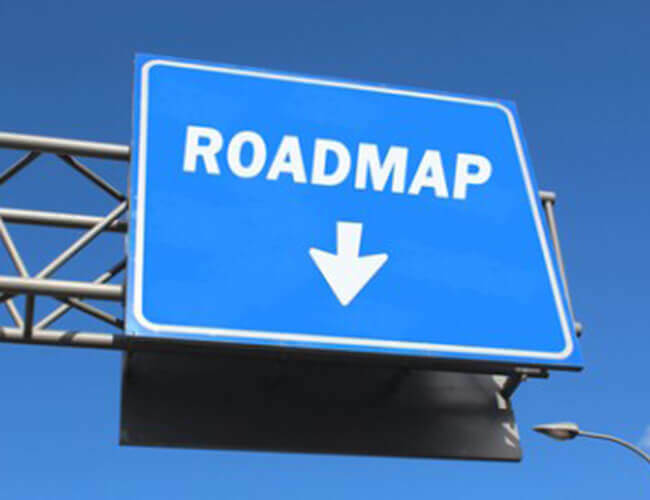 A roadmap should include objectives for both the short- and long-term needs of your organization and its growth. Knowledge of and engagement of the ‘who’ is critical when developing and, eventually, executing your roadmap. There are two major groups that need to be considered: stakeholders and resources. Stakeholders are those people whom you hope will support, adopt and, ideally, champion your additions and changes. They may be teams or individual team members, may be at any level and in any role within your organization and may even be external. You want to make certain that you keep your stakeholders involved in the growth of your salesforce.com platform so that they have continued ownership in its overall success. Resources are those people who will actually complete the work to gather requirements, develop solutions and implement the ultimate configuration and/or development that will allow your organization to realize a roadmap objective. Just as with stakeholders, resources may be teams or individual team members, may be at any level and in any role within your organization and may even be external. You need to make certain, for each objective on your roadmap, that you are also researching and planning for the availability of the proper resources. It is important that you document and categorize your short- and long-term objectives on the roadmap to identify and plan for inter- or co-dependencies. It is possible, for example, that a short-term data change might have impact on analytics or a long-term process change may necessitate refinement of your automations. Timing is one of the most critical elements of a roadmap. Timing must not only be considered for your internal organization but, often times, must be considered for external entities such as constituents, vendors, affiliates or partners as well, particularly if training and/or documentation must be reviewed by stakeholders in order to effectively adopt your additions or changes. This should be kept at a very high-level such as on the constituent portal or in the education organization or on mobile devices within the roadmap. 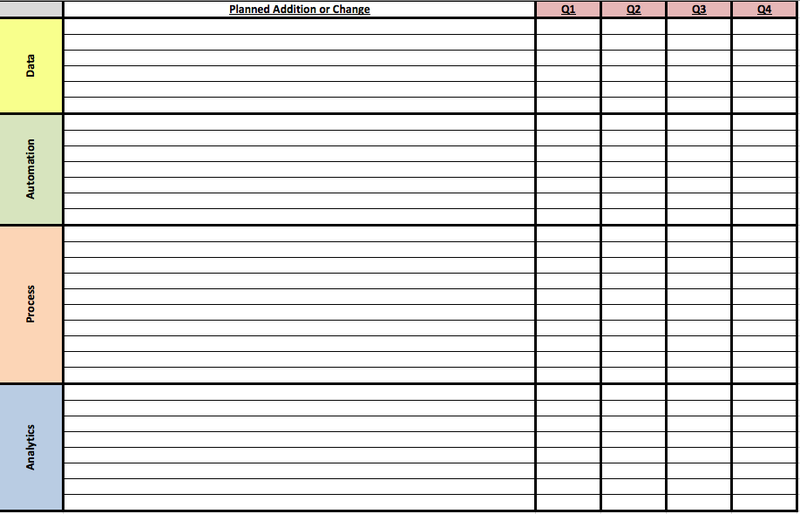 You are cautioned to refrain from turning a roadmap into a solution or design document. The roadmap is not the place for specifics such as a new custom object, rather, it should remain conceptual as to the precise where. Notice that, despite the five Ws traditionally including how, we have intentionally not included how as a key component of the roadmap. Solution and design documents are meant for the how because, particularly with long-term goals, things can and will change…an operating system, a programming language, core feature and functionality or a third-party app could have very different attributes at the time you are ready to proceed with a roadmap item and you want to avoid painting your organization into a solution that may no longer fit your need. With that said, though, it doesn’t mean that you should not do your homework and stay abreast of possible solutions as your objectives move closer in on your roadmap’s timeline. If for example, you are considering adding a computer-telephony interface (CTI) to your salesforce.com instance, you should not rush out and purchase a new phone system simply because it is at a really great price on eBay (or a similar, hipper site!). What you should do though, is begin researching developer content and AppExchange solutions paying attention not only to features and functionality but also to technical specifications. Surprisingly (or possibly not), not all phone systems are alike and not all phone systems have the ability to integrate with cloud platforms. If you do not already have a salesforce.com roadmap in your organization, I definitely recommend that you consider implementing one and incorporating it into the overall strategy for the growth of your organization. Personally, I believe strongly in the breadth, depth and range of the salesforce.com platform. Just as with any technology, there are, of course, limitations to capability. However, I believe that the limitations of this platform are far fewer than any I have worked with in nearly twenty years in technology and any remaining perceived limitations have more to do with our own variables such as budget, resources and time. Implementing a roadmap helps us to properly set expectations and follow a strategic path in order to get to those places we are growing.